Even though the end of the year is fast approaching, Continental Girbau hasn’t slowed down. Known for their innovative laundry solutions, Continental Girbau has been developing the next spotlight in your vended or on-premise laundry. This past week, they opened up ordering for a new 80 pound washer; the EH080 Soft Mount with ProfitPlus. 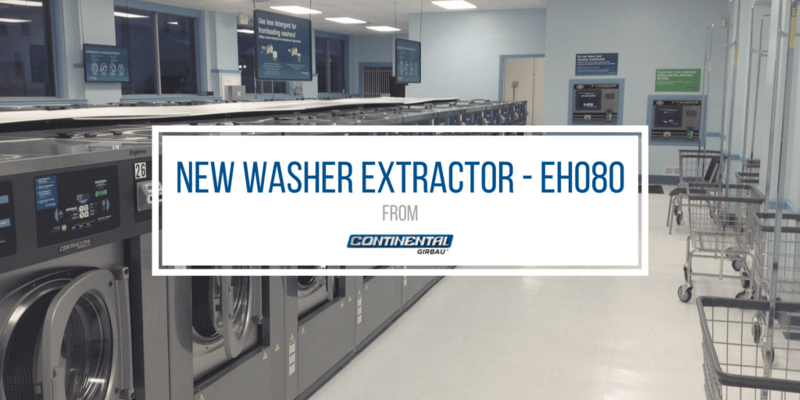 Making its formal debut at Clean 2017, the EH080 is ready to be the all-star of your laundromat. Engineered with your vended laundry in mind, the EH080 is a high-performance washer-extractor that reduces utility costs and increases turns per day. 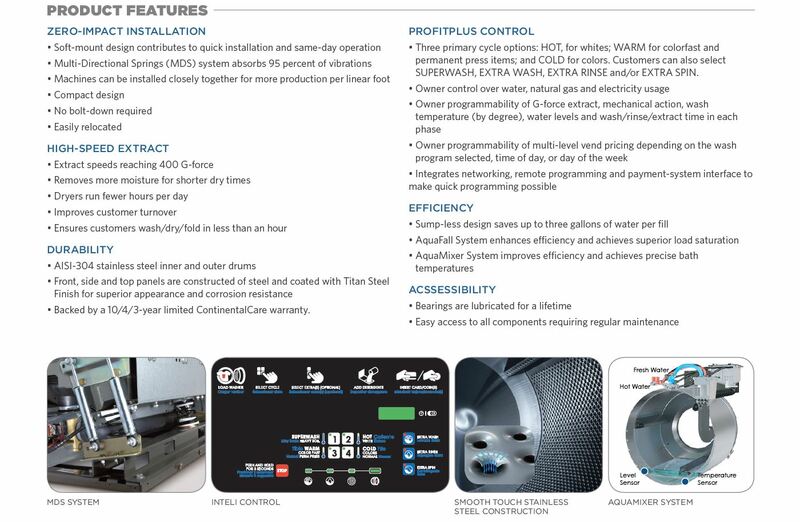 Due to the suspension system and compact design, this washer-extractor can be installed quickly with zero impact installation, and can be up and operational same-day! With extract speeds reaching up to 400 G-force, customers are able to wash-dry-fold in your laundromat in less than an hour resulting in higher customer turnover. Incorporating the EH080 is just one more way you can make your vended laundry more profitable. Soft-mount design with Multi-Directional Springs (MDS) system to absorb some 95% of vibrations. Lubricated bearings for a lifetime with easy access to all components for regular maintenance. 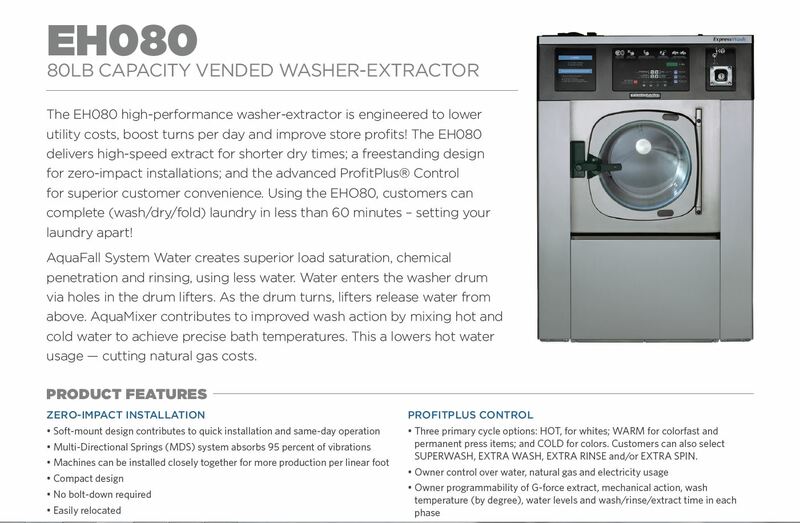 This washer-extractor is also available for Commercial On-Premise Laundry! Read more about it here at Continental Girbau’s Press Release. If you are interested in learning more about the EH080 and how it can be used to increase your vended laundry profitability, please reach out to Eric Vlahos at 330-475-8220 ext. 103, or email him at eric@advantageequipment.net!